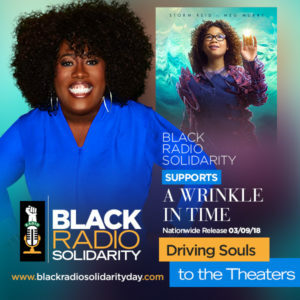 KJLH and Sheryl Underwood are doing it again; Sheryl has bought out a screening of A Wrinkle In Time and Black Panther at the Baldwin Hills Cinemark Theater in Los Angeles for this Saturday, March 10. Walt Disney Pictures is on a roll, following up its BLACK PANTHER release with a March 9 release of A WRINKLE IN TIME, directed by Oscar-nominated director Ava DuVernay (SELMA, QUEEN SUGAR). Sheryl Underwood is using entertainment to empower, educate, enlighten and energize young people, working with KJLH to buy out another theater for A Wrinkle In Time and Black Panther. accommodate the student body of The Boy’s Academic Leadership Academy, which is part of the Los Angeles Unified School District and is California’s first public all boys school. The Black Panther screening is open to students who have not already seen the film. The school, which opened in August 2017, serves 6th & 7th grades only and has an enrollment of 91 boys. Donald S. Moorer is the Principal and a member of Phi Beta Sigma Fraternity, Incorporated. According to Underwood, “It is great to see Ava Duvernay be the 1st black woman to helm a $100 million dollar film.” Wrinkle celebrates girl-power, with a cast that includes actress Mindy Kaling, Reese Witherspoon and Oprah Winfrey. Although a film with a youthful focus, it will inspire young people to persevere and elders to never to give up. The original book, written by Madeleine L’Engle, was rejected by publishers 26 times; and just like the author of this imaginative tale, young Meg never gives up her quest to find her father. Sheryl Underwood is thankful to KJLH and members of Zeta Phi Beta and Phi Beta Sigma, as they join forces to show children their brains can transport them to all dreams imagined–Never give up! 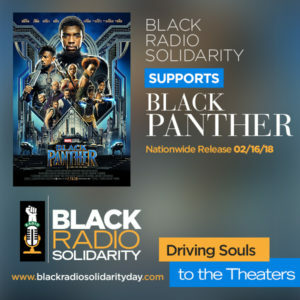 For more information call 1-855-Sheryl-1 or visit www.blackradiosolidarityday.com.